This page has been created to allow LabVIEW software and hardware users in the Albuquerque, NM area to collaborate on current projects and ideas. You will find upcoming events in the area, past LabVIEW User Group presentations, LabVIEW tutorials, and recent discussions. 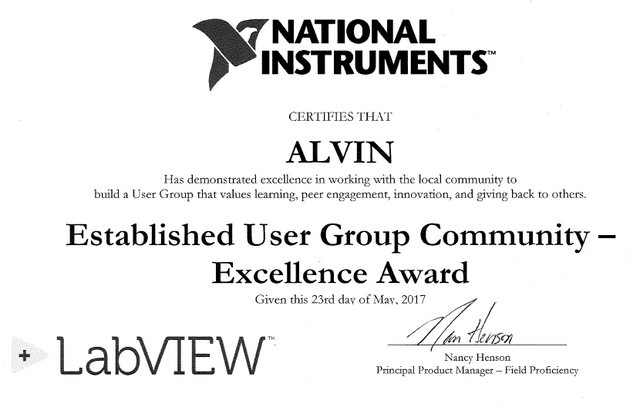 LabVIEW user groups meet regularly to discuss various LabVIEW programming techniques, technologies, application design patterns, and much more. Use this opportunity to network with other programmers in the Albuquerque, NM area to find out how they solve their programming problems using LabVIEW. Thursday, June 20, 2019 11:30 AM - 1:00 PM Albuquerque Garden Center Best from NIWeek: NIWeek recap of the NNSA Innovation Day and NIWeek proceedings. Aaron & Shawn's Stuff: Tips and Tricks so your code doesn't stink! What topics would you like to see discussed at ALVIN?